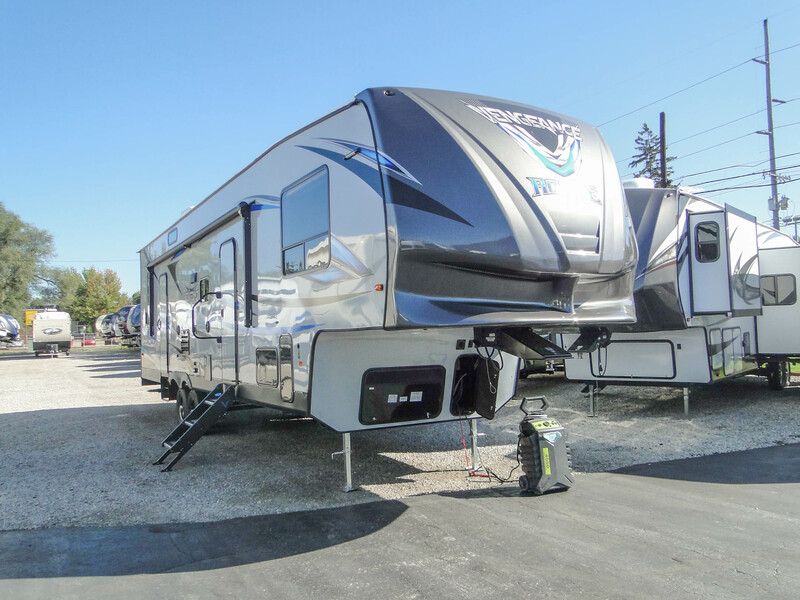 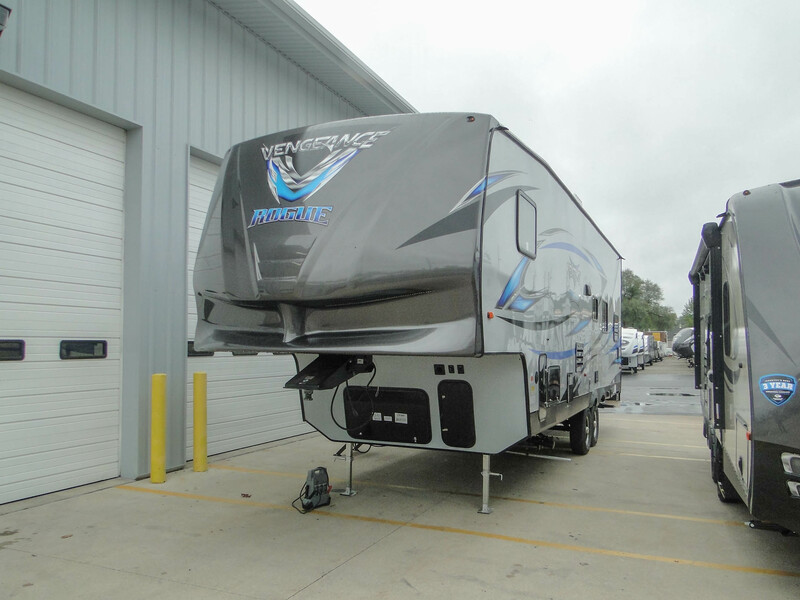 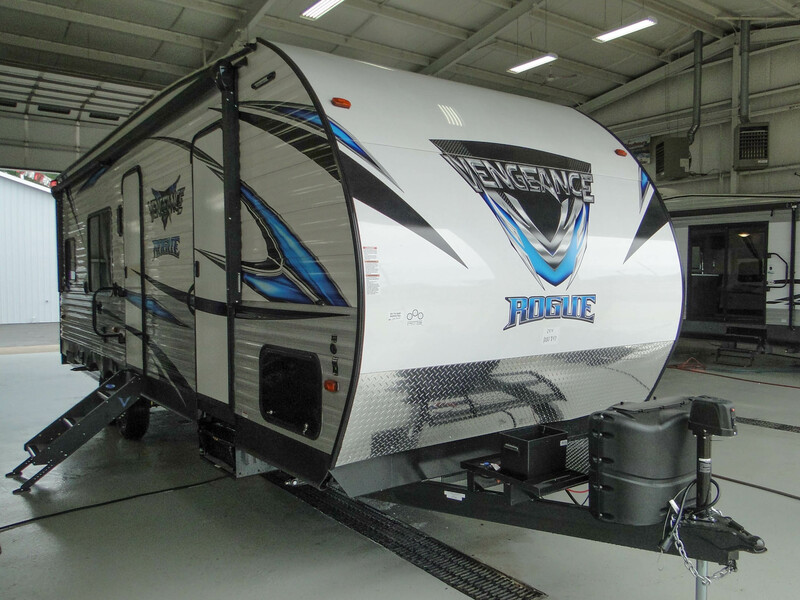 Hauling your equipment has never been as easy as it is with the Forest River Vengeance or Vengeance Touring RVs. 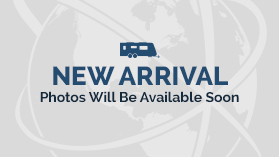 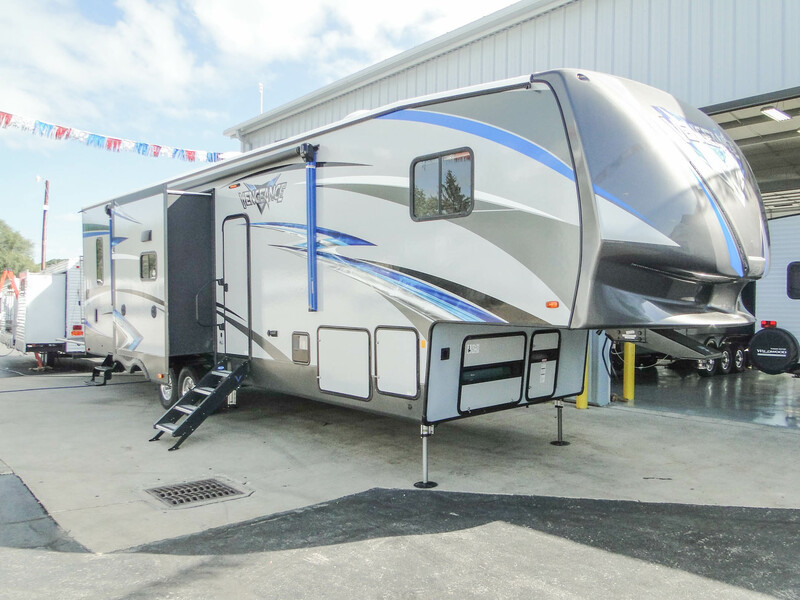 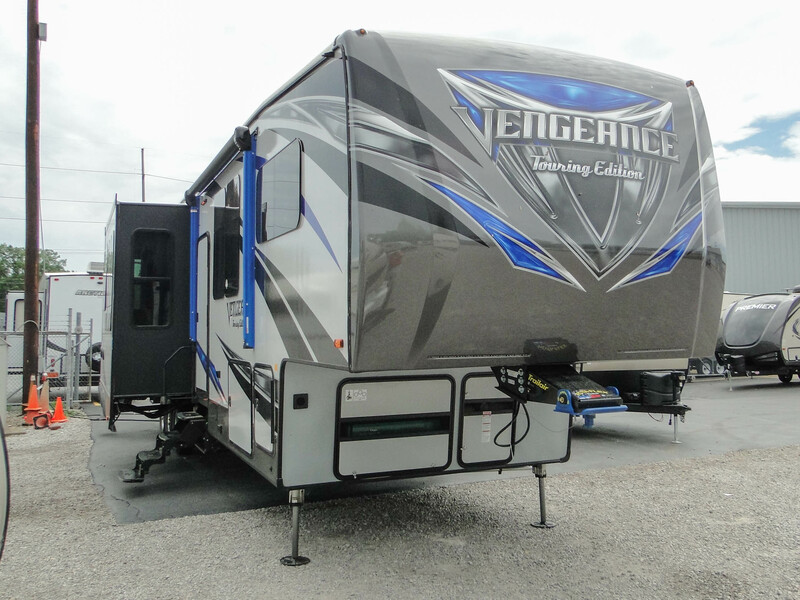 Pack your dirt bikes, ATVs or just a mountain of equipment in these spacious trailers. 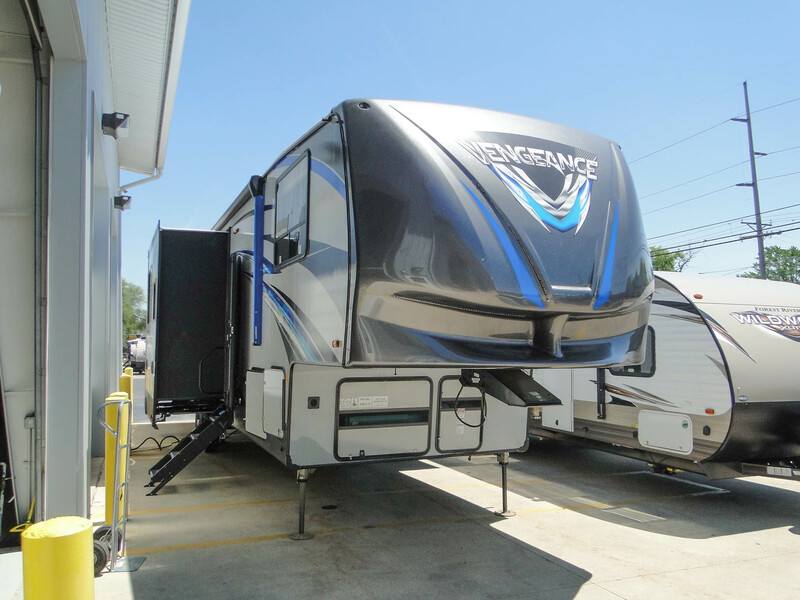 Despite their storage capacity, they don’t compromise on livability or comfort – get the best of both worlds with a Vengeance toy hauler!